For the next two months, Kino Scala is screening a selection of movies in the atmospheric outdoor environment of the Governor’s Palace. Here are some of the films you can look forward to on a beautiful Brno summer evening. Inglourious Basterds and Django Unchained are two of Quentin Tarantino’s most interesting films. The motor-mouthed auteur turns World War II and American slavery into idiosyncratic, blood-soaked revenge flicks, opening up a fresh perspective on how we perceive the atrocities of the past in cinematic terms. Tarantino treats both subjects as straight up entertainment, and in doing so forces the viewer to evaluate how they consume movies about mankind’s darkest moments as part of their pop cultural diet. Basterds tells of Shosanna Dreyfus (Melanie Laurent), whose family is slaughtered by a notorious SS man, “Jew Hunter” Hans Landa (Christopher Waltz), and her plan to avenge their deaths on the Third Reich’s high command. Meanwhile, Lieutenant Aldo Raine (Brad Pitt) leads a crack group of Jewish commandos behind enemy lines with one sole purpose – to kill a lot of Nazis. The film looks a treat on the big screen, like The Dirty Dozen by way of Sergio Leone, and is bursting with memorable performances from a colourful cast. There are scenes of almost unbearable suspense, notably in Landa’s early visit to Shosanna’s farm and a tense stand off in a cellar bar. Later, the film disappears into an alternative reality, resulting in a wish-fulfilling bloodbath in a movie house. A word of warning – Inglourious Basterds features lengthy scenes of dialogue in German and French, so unless you speak both languages or Czech, the Czech subtitles are unlikely to help much. Django Unchained charts similar territory, giving the vicious slave drivers of old the proper comeuppance that most will have escaped in reality. It is wildly uneven and perhaps half an hour too long, but Waltz excels again as a German bounty hunter posing as a dentist, who frees the eponymous hero (Jamie Foxx) and assists him on his path to vengeance. Leonardo DiCaprio puts in an obscenely charismatic performance as a vile plantation owner, and Samuel L. Jackson as a servant even more racist than his master. Also worth seeing on the big screen is Ron Howard’s Rush. As with Apollo 13, Howard proves a master of taking a real historical event and turning it into thoroughly gripping entertainment. 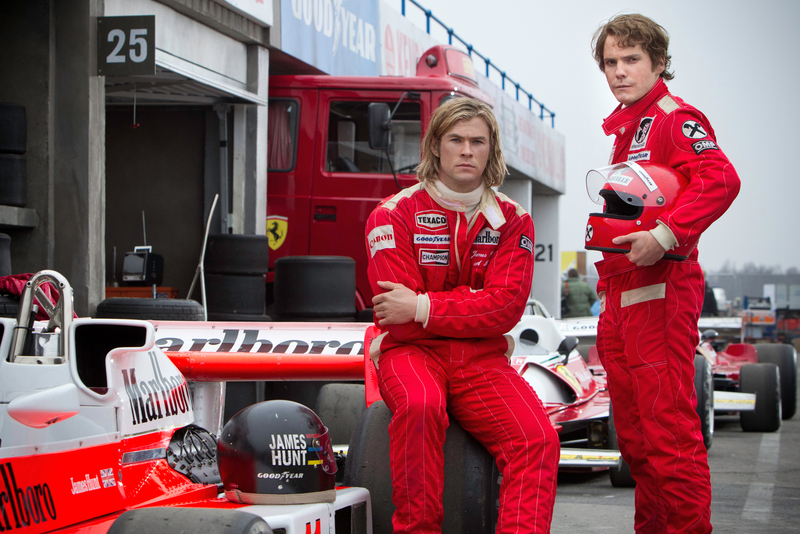 Rush focuses on the intense rivalry between two Formula One drivers, James Hunt (Chris Hemsworth) and Niki Lauda (Daniel Brühl). The pair are complete opposites – Hunt is a louche, hedonistic ladies man, Lauda a prickly, driven character comfortable with his own dislikability. You don’t need to be a fan of motor sport to be gripped by Rush, which features teeth-rattling race sequences, a strangely poignant dynamic between the bitter rivals, and impeccable Seventies period detail. It is hard not to admire the balls-out bravery of men compelled to risk their lives chasing their dreams. Hemsworth is fine as Hunt, but this is Brühl’s movie, finding pathos and heroism in a distant, antisocial perfectionist. Late in the season of films, you can treat yourself to one of the greatest screen performances of the decade in Woody Allen’s Blue Jasmine. Cate Blanchett won just about every award available for her role as the brittle-minded, self-absorbed socialite fallen on hard times after her millionaire husband gets banged up for fraud. Woody Allen could hardly be accused of having the common touch, and his depiction of the working class in Blue Jasmine is laughably stereotyped. It hardly matters, because Blanchett is truly astonishing in the lead role. While Jasmine never shuts up talking about herself, Blanchett plays her like a silent screen actress might – all face and eyes, recalling Gloria Swanson’s florid, monstrous performance in Sunset Boulevard. The full list of screenings is here – enjoy your summer viewing!